Getting back to usual pastimes, work, hobbies, and travel can be difficult after stroke. Making the effort to go out will, however, help recovery and quality of life. It may be necessary to adapt activities to fit in with the individual's disabilities. I hope this site will help you to get the information you need to give it a try. If you have had a stroke and are now back to sport, leisure, and work, please let us know what helped you get back. Have you or somebody you care for had a stroke? The Art support group may be a good start for you! Anybody affected by stroke or wanting to attend or volunteer is welcome. Newcastle and Kidsgrove Community Rehabilitation Team. if you are working age you can self refer to the service. 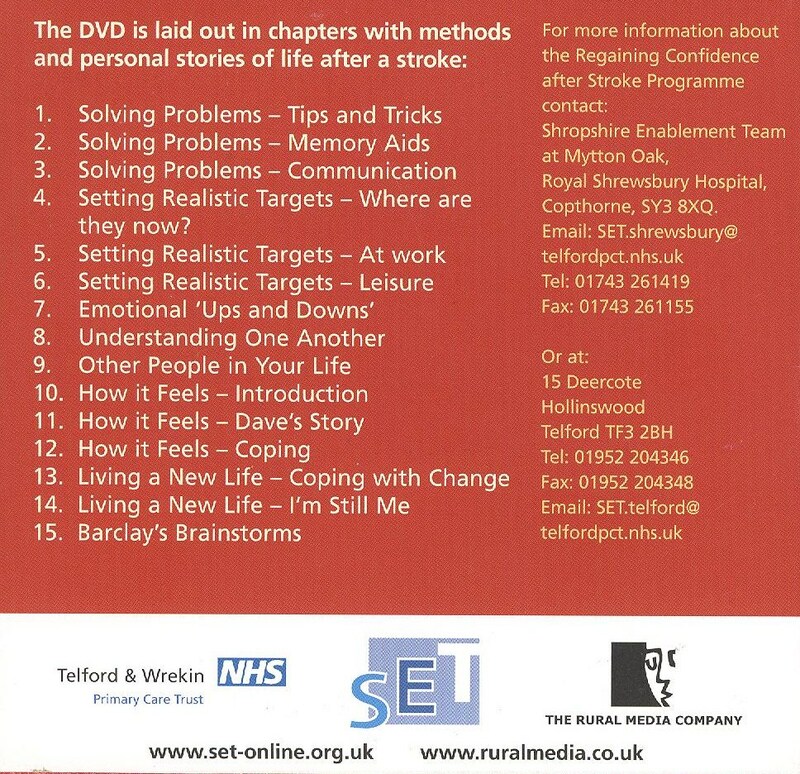 Regaining confidence website: advice on recovery for stroke survivors. Any NHS health professional can refer directly to our service using our simple 2 page referral form. Email us at dhft.driving@nhs.net if you don’t have a form at hand. Clients can self refer for a fee of £60. Motability customers can be referred by Motability phone 0300 456 4566. From May 2019 two maonthly assessments will take place in Stroke. Please contact the Derby cetre for details of dates and venues. Mr Brin Helliwell, a 'strokie' and user representative on the West Midlands Stroke Research Network Management Board, Part 1 and Part 2 of the speech.